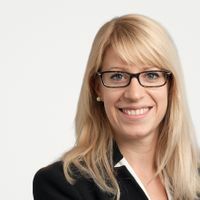 Amaryllis Müller is an associate in our antitrust, competition and trade group, based in the Brussels office. Amaryllis’ practice focuses on all aspects of Belgian and European competition law, with a focus on merger control and cartel litigation including follow-on damages claims. Amaryllis’ recent experience includes EU and multi-jurisdictional merger analysis and filings in the telecommunications, chemicals, pharmaceuticals and transport sectors. She has also assisted in cartel litigation in the cement and elevators industries.